Over the last 10-12 years, the value and role of the running back position has changed drastically at all levels of football, but particularly in the NFL. With the increased focus on the passing game coupled with the durability issues at the position, offenses have become less reliant on running backs as a whole. Teams now often look to build a backfield of cheaper, complementary talents rather than one multi-dimensional talent. As a result, the theory that running backs are not worthy of a high draft capital investment has become prevalent. The theory itself has plenty of merit. There is no debate that the running back position has been devalued from where it was years ago. With offenses now built on various sub-packages, there are opportunities for coaches to put one-dimensional players on the field to provide them with the opportunity to make plays without exposing their weaknesses. Think about the roles that LeGarrette Blount and James White played for the New England Patriots for the last few years. Both players require minimal financial investment from the team, but complement each other’s talents and, together, offer the same capability that a more complete running back would. There are several other reasons why drafting a running back early doesn’t make sense. One of the biggest of those reasons is that seemingly every year, there are late round or undrafted free agent running backs who step up and produce at a starter level. Chicago’s Jordan Howard is the current poster child for late-round production at the position. When teams can find values like Howard later in the draft, it creates an incredible surplus value from a salary cap perspective. In order to be successful within the current salary cap parameters, NFL decision makers must find those players who create surplus value. Using a first-round pick on a running back results in teams losing much of that surplus. With the current rookie wage scale, a player drafted in the top half of the first round will make more than three times as much as one drafted in round three or later. Lastly, when investing a first-round pick on a player, teams like to envision that player still with the team well into their third NFL contract. With the increased durability risk, however, even the great running backs don’t make it that far beyond their second contract before they start to break down. So, with all those facts on the table, how can a running back possibly be worth a first-round draft pick? Let’s start with the role that they can fill. While everything said about Blount and White and their complementary roles is true, there is still value in having one back that can do it all. Imagine a defensive end seeing White, Danny Woodhead, or Darren Sproles in the backfield. What is he thinking? He’s thinking that the offense is throwing the ball and that he is going to fire off the line of scrimmage and get after the quarterback. Even if he is wrong, it is still a calculated risk he is willing to take to make a play. Now, imagine he sees Blount, his post-snap reaction would be quite different, wouldn’t it? Being able to diagnose run or pass pre-snap is a major advantage for a defense, particularly in the front seven. Defensive linemen can fire off into their rush without hesitation and linebackers can avoid being fooled by play action. A true multi-dimensional running back takes that advantage from the defense and shifts it over to the offense. Secondly, finding late-round running backs who can produce consistently at the next level is not as easy as is commonly thought. The key word there is “consistently.” There have been plenty of running backs drafted late who step up in emergency situations and produce in any given year, but there are far less who contribute on a consistent year-in and year-out basis. Even still, there are plenty of late round running backs to point to who have had successful careers, right? Sure, but keep in mind that if you look across the NFL at any given point, you are typically looking at players drafted in a 10- to 12-year spectrum. Over the course of 10-12 years, there are naturally going to be several late round surprises. As an NFL decision maker, however, you’re not looking at 10- to 12-year group of players, but instead you are making decisions within the confines of one draft class. If we take just the 2013 draft by itself (so as to not judge the later classes prematurely), there were 20 running backs taken in the third round and later. If you’re a team in need a running back later in the draft, you better hope that you are the team that drafts Latavius Murray or Spencer Ware because the other 18 will not come close to reaching their level of production. Even if you do draft the right guy, you are most likely just getting a solid starter, not an elite playmaker that can be a focal point of an offense. In addition, it is not easy for scouts or GMs to identify those players. If teams really knew how good Le’Veon Bell was going to be, he would’ve been drafted much earlier than 48th overall. Would Jordan Howard have lasted until the fifth round in the 2016 draft if teams knew what kind of player he would be? There is a fair amount of luck in finding those productive, late-round players. So, if you need a running back and are determined not to draft one early, you’d better be lucky. Lastly, consider all of the great running backs currently in the league and the value that they brought to their teams. Think about Le’Veon Bell, Ezekiel Elliott, LeSean McCoy, and David Johnson or great runners from years past: Adrian Peterson, Jamaal Charles, Brian Westbrook, Marshall Faulk. Think of the impact that each player had on their respective team. Does Pittsburgh or Dallas have the same success without Bell or Elliott? Probably not. Does Philadelphia or Los Angeles have the same success without Westbrook or Faulk? Again, probably not. These running backs were extremely valuable to the success of their offenses and teams. If any of these players magically went back to the ripe age of 22 and re-entered the draft, they would, without a doubt be worth the value of a first-round pick. The point here is that the overall value that an elite running back provides to a team is absolutely worth a first-round draft pick. Since Ezekiel Elliott took the league by storm in 2016, many have speculated on whether NFL decision makers would change the way they think about investment in the position. Should they? The answer, of course, would be different for every team in the league. Like everything else in football, that decision shouldn’t be made in a vacuum, but within the context of team’s current roster and situation. We have already established that the right running back is worth the investment, but to fully maximize that investment, teams must have the right situation in place to immediately collect on the impact the player can deliver. With a shorter career expectancy than most other positions and the relative availability of replacements, it is vital that a running back drafted in the first round is put in a position to have immediate success. What does this mean? Elliott is a perfect example of this. His rookie year success and the impact he had on the Cowboys was not just a result of his overall talent, but a combination of his talent and the situation he found himself in. Dallas had arguably the best offensive line in the NFL prior to drafting Elliott and they were determined to build their offense around their running game which resulted in dominance. The passing game was then built off of the dominance in the run game. The Cowboys’ undermanned defense also thrived because the offense chewed up the clock, keeping opposing offenses on the sideline and unable to establish a rhythm. Later in the game, opposing offenses were made one dimensional in trying to get back in the game, which allowed the Dallas defense to tee off. It was example of perfect synchronization of offensive and defensive philosophy. Having an elite offensive line certainly helps, but Dallas’ commitment to the running game and insistence on building their offense around that running game, is equally important. For a player like Leonard Fournette, this is critical. 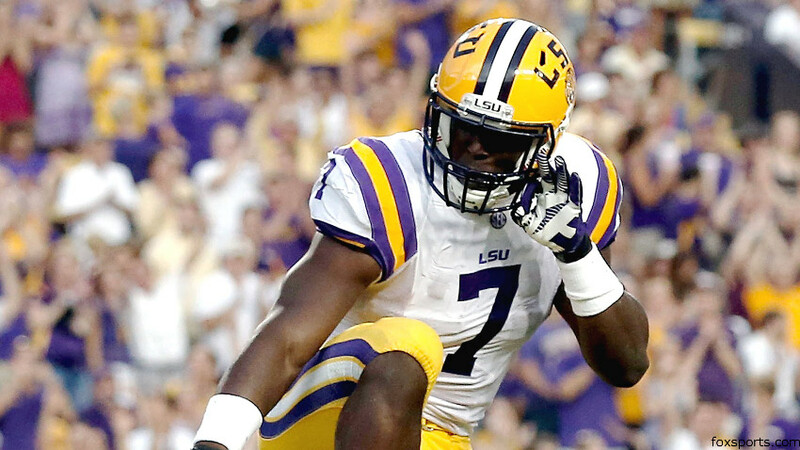 Widely considered the top runner in the 2017 draft, Fournette is a foundational, volume running back. Many have labeled him as a scheme specific player who best fits a gap-oriented running game. While there is some merit to this argument, that is not necessarily a major issue as most offenses run a variation of zone and gap schemes and offensive play callers can very easily adjust the game plan as necessary to accommodate a player with Fournette’s ability. For a team to really maximize those abilities early on, however, it is more important that it is able to build its core offensive philosophy around Fournette and the power run game, similar to how Dallas did with Elliott. Lastly, not all running backs are created equal and, as such, there is more than one way to maximize their impact. For a player like Christian McCaffrey, featuring him in an offense driven through a power running game, similar to Fournette, may not be the most effective strategy. To immediately capitalize on McCaffrey’s talents, teams must utilize his flexibility. Rather than an offense built around his running ability, it can be built around his overall playmaking ability. For teams like Philadelphia, Tampa Bay, New Orleans, Green Bay, or Indianapolis who all design their offenses to run through their passing game, a player like McCaffrey is a great fit. He can be their primary runner but also a receiving threat out of the backfield or the slot on third downs. For a team that has built its offense through the passing game, having a player that doesn’t require a minimum number of touches to be effective, but can step in and make an impact on limited carries is crucial. In addition, it allows a player like McCaffrey to produce and gain confidence as he acclimates to the NFL game and develops as a playmaker. All of the arguments against investing in a running back early in the draft are compelling, but, like any argument, they have exceptions. Most running backs are not worth a first-round investment. But, the right running back who is drafted by the right team and put into the right situation, most certainly is. Now, finding the right running back is another challenge in and of itself, but that is the case with any player at any position in the draft and that is why NFL teams invest so much time and resources into the scouting process. If, as a decision maker, you feel that a running back has elite talents and your organization has the right structure to maximize those talents immediately like Dallas did with Elliott, then that running back is absolutely worth a first-round pick. Follow Sean on Twitter @PhllyDraft. Check out more of Sean’s work here, such as the rise of Haason Reddick, how coach Bronco Mendenhall gets to the quarterback, how North Carolina State uses motion on offense, what Justin Fuente brings to the Virginia Tech Hokies offense, and on Mark Richt and the triangle offense in Miami. A husband, and father of two awesome kids located in Philadelphia, PA. I spend my days managing risks for a large insurance company and early mornings/nights doing what I love. Football (real and fantasy), NFL draft, Temple University, Philly sports and quantum mechanics are my passions.